Capital IDEA is honored to be a grantee of the United Way of Williamson County. UWWC unites people and organizations to build stronger communities and improve lives. By stabilizing families, helping kids succeed academically, and empowering good health, United Way is working towards a community where people thrive, lead healthy lives, and everyone has the opportunity to reach their full potential. On Wednesday, April 5, 2017, Capital IDEA was one of many hosts for UWWC’s “Day in the Community” for students from Hernandez Middle School in Round Rock. At Hernandez Middle School, all 6th-8th grade students are part of the International Baccalaureate Program. In addition to high academic standards, students participate regularly in community service and action learning. The April event provided opportunities for students to explore STEM-focused careers. As hosts, Capital IDEA staff were on hand to welcome Hernandez Middle School students to the Austin Community College Eastview Campus, home to many of the healthcare and paramedic training facilities at ACC. We took this opportunity to share with students the advice Capital IDEA is known for—how to turn a career goal into a realtiy. We covered the basics of healthcare career opportunities in our area; the academic credentials that can get them into those careers the quickest; and the best opportunities for them to fund a college education without getting into serious debt. 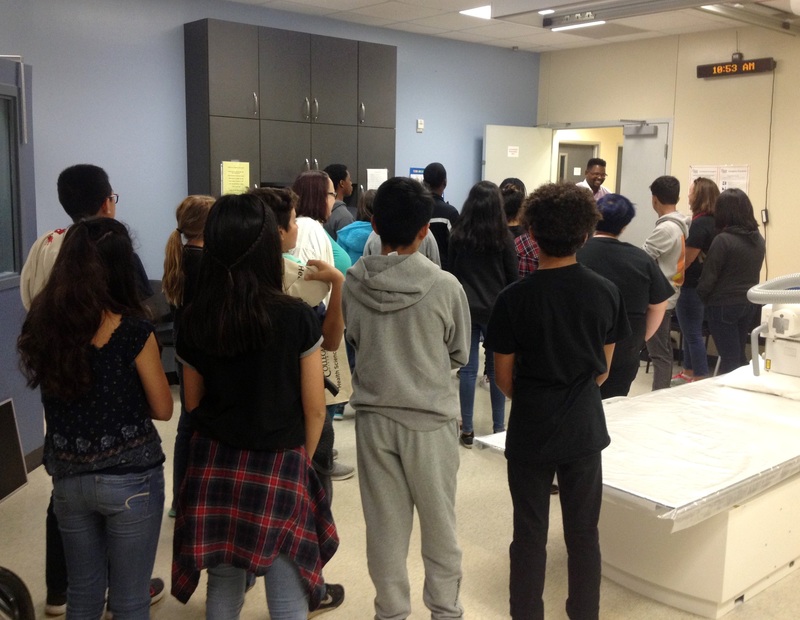 The tour of ACC’s Eastview campus included nursing classrooms, surgical tech clinical training rooms, phlebotomy and radiology labs, and a visit to the EMS training rooms. Responses from everyone, students, teachers, and staff, were positive and engaging. We were delighted to meet these bright young adults and be a part of this Day in the Community.